As we all know that people opt for franchise business opportunity because this business model is a proven system of doing a business with low risk rate. They can associate with a well established brand and get to benefit from its reputation and product or service. Moreover, the franchisor may help on varied aspects of starting and running a business. There are many factors that contribute for the success of a franchise system but one of the major factors is franchisor’s support in the form of training programme. An effective and comprehensive franchise training program will definitely be an 'icing on the cake' as it minimises the risk of operational mistakes and failure at franchisee’s end. On importance of well organised training programme, Devashish Chourasia, MD, Barbarian Power Gym Pvt. Ltd, a growing fitness brand that has opted franchise model for business expansion, says, “For a brand, franchisee training is an effective tool to assist their franchise partners to establish their businesses. It also helps them in operating their business successfully”. In franchisee-based business model, a good training programme not only ensures that a company or a brand is a commercial success and is able to meet its other business goals as well but it also plays a decisive role for maintaining that success for long term. Training teaches franchisee about the critical elements and components of how to operate the franchise outlet for profit. In an effective franchise training programme, the franchisor sets up a broad training course for franchisee, under the consultation of experts that covers all the important aspects related to the business like products, management, business system, operations, sales and marketing techniques, staff recruitment etc. As Harsh Podar, Managing Director, Podar Education Network, the most recognised brand in Indian education industry that offers quality education services for children shares, “We provide assistance to our franchisees in staff training, staff selection, re-training if required, monitoring parent satisfaction, monitoring children’s development and growth etc”. 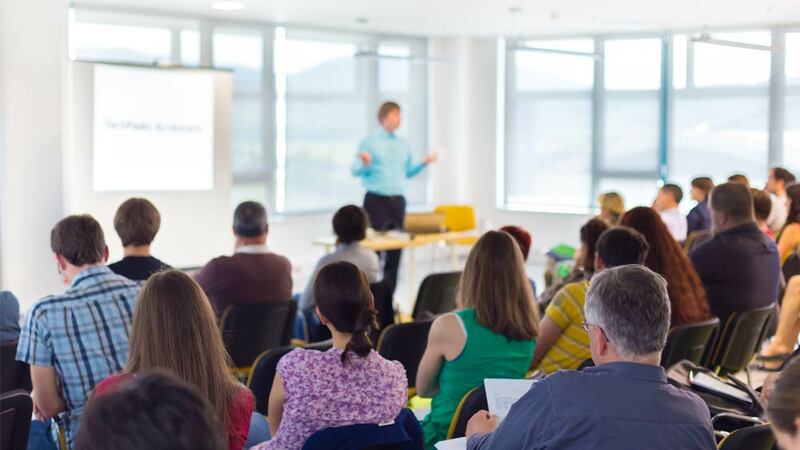 An effective training session must include discussions so that a franchisee can clear his doubts and queries related to any facet of business. The training components may vary from businesses to business. The training can be given at company’s headquarters, on-site besides ongoing training for an operational franchisee. Franchisor can train franchisees through real world experience or practical training. The first and most important tool of any training program is a strong operation manual, which acts as the franchisee's textbook during training. For making effective training environment, franchisor mostly uses audio, video, lecture, and discussion methods for franchisees. Devashish Chourasia of Barbarian Power Gym shares the features of brand’s franchisee training programme. He says, “The brand’s franchisee training and consultancy programme covers aspects like interiors, equipment, technology, access control, and monitoring systems etc. We also use centralised monitoring system for online training, updates and consultancy.” Franchisors can use an individual with proven training skills to administer the training program or he can also use an existing staff member who has full knowledge of business. Broadly speaking, a franchise business can be either a retail concept or a service franchise system. Training and support from franchisor are required in both but differently. In retailing, the franchisee staffs needs complete knowledge regarding products and customer handling and sales training. Store operations and stock management training is also critical. While in service franchise, process, presentation and communication training are most important. Franchisors need to construct and present quality training to their franchisees. Quite often, quantity takes the place of quality when it comes to franchisee training Since franchisees can only retain a certain amount of information from a training session, franchisor training should focus on the most important and critical components of franchise operations. An effective training programme help a franchisee to understand the mechanism needed to operate the business and better idea to overcome problems and challenges that can halt growth. It ensures a smoother and more successful franchise start-up and benefits franchisee to follow efficient operation system. By training a franchisee will come to know what works and what not and that helps in strong sales and good cliental development. A good franchisor provides training to his franchisees and reaps the benefits in form of long lasting profits and relations with franchisee. The training helps franchisees to start-up their franchise correctly and minimises the chances of losses and failure of a business. It results more productive use of franchisor staff and higher the chances of more successful franchisees. To conclude, it can be said that the success of a franchise business is directly dependent on franchisees training. However, the franchisee training programme results should be measured and analysed from time to time and so that the enhancements can be made as and when required. This will help keep the training programme up to date and relevant to the current needs of the business and contribute in the success and profitability of not only an individual franchisee but the entire partner network resulting in the overall success of the brand.